Carhartt does a decent job of balancing the two: I’ve found their 12-oz. duck pants are reasonably durable and very affordable at $40 a pair; however, their 8.5-oz. canvas carpenter jeans, which are the same price, are something you can expect to replace often if you expose them to any kind of wear. Can Filson do better? The 120-year-old workwear brand has steadily crept upmarket, manufacturing durable clothing that no factory worker can afford, thanks to rising labor costs and efforts to keep manufacturing close to home. But now they’ve announced a new line, C.C.F. (for company founder Clinton C. Filson) that claims to offer both durability and prices that working folks can afford. 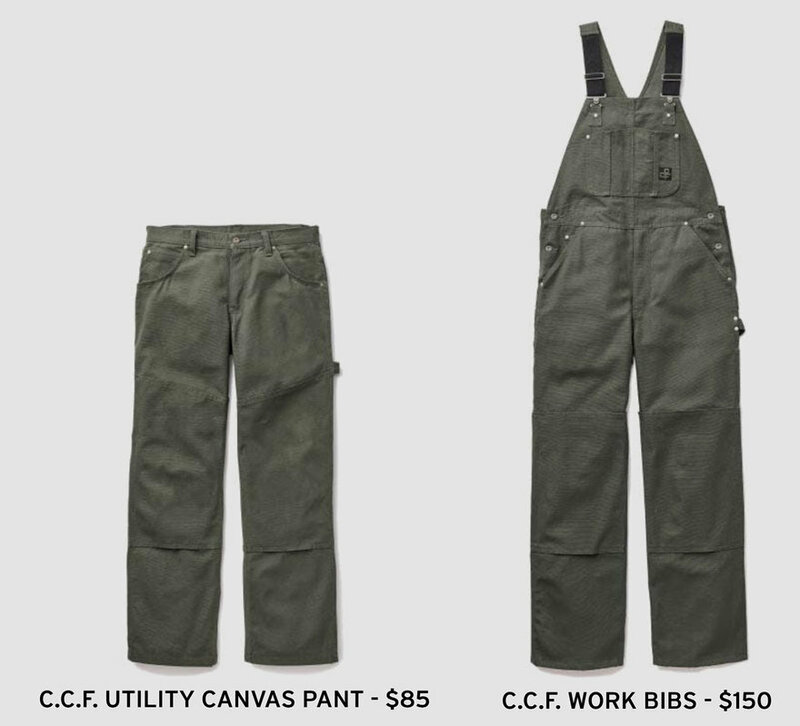 It still seems a bit pricey to me, and I’m not confident CCF will take any market share from Carhartt and Dickies; but Filson’s downmarket initiative is a welcome one, and I’m eager to see how it evolves.